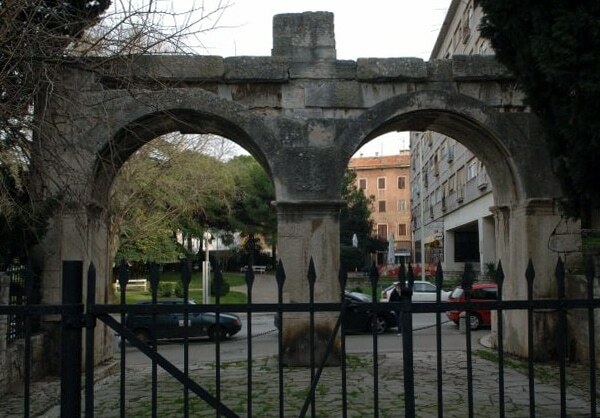 Pula is a town rich in monuments from the Roman period, and well preserved despite that they were built almost 2000 years ago. 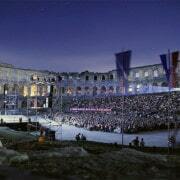 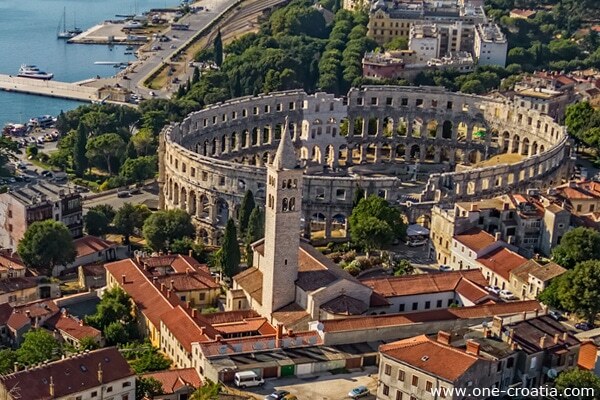 While in Pula do not miss its amphitheater, one of the largest and best preserved in the world. 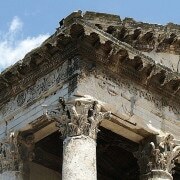 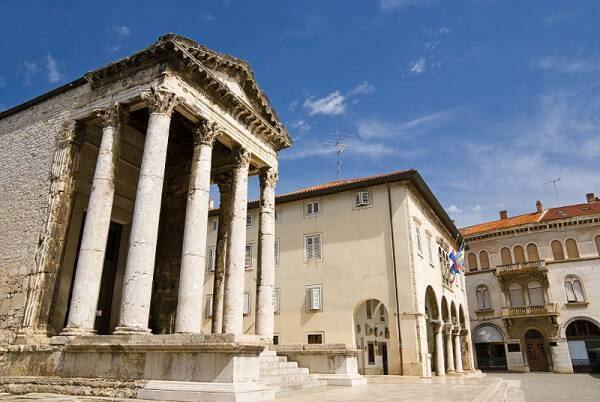 The forum is the oldest square in the city, it was also the main square during the Roman period. 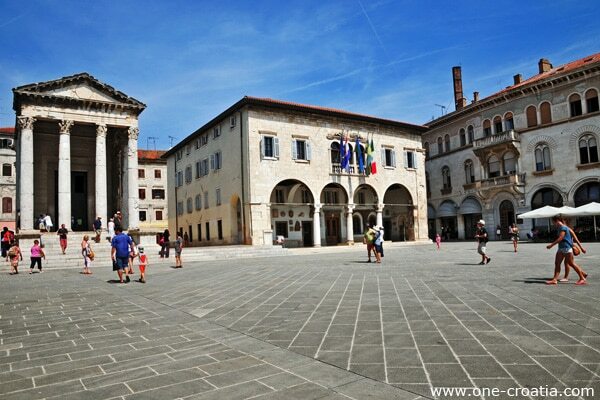 You’ll find the tourist information centre there so this is the perfect place to start the tour. 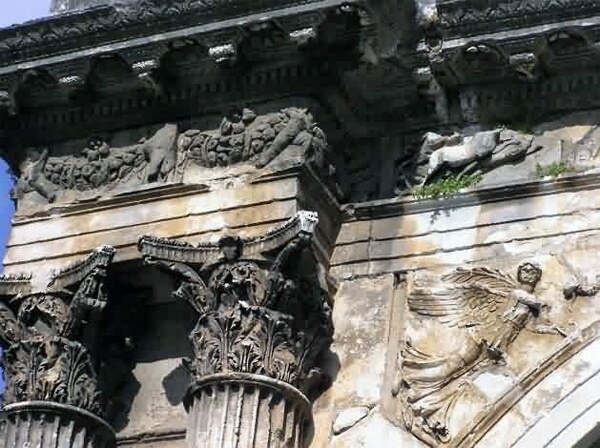 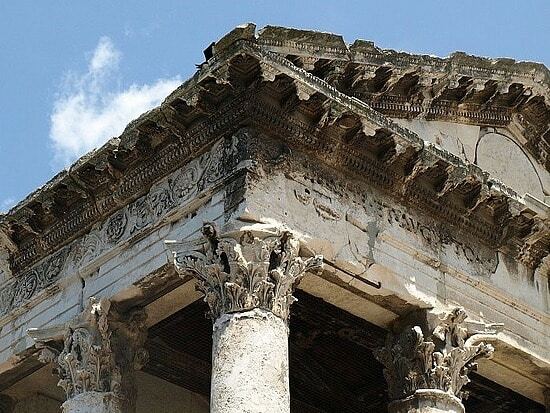 Many important monuments are situated all around the forum, as the Temple of Augustus dedicated to the first Roman emperor and probably built during his reign. 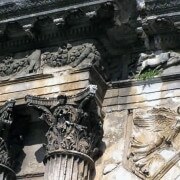 It is a magnificent temple that used to contain the statue of the emperor. 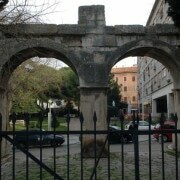 Today it is used as a public display of sculptures from Roman times. 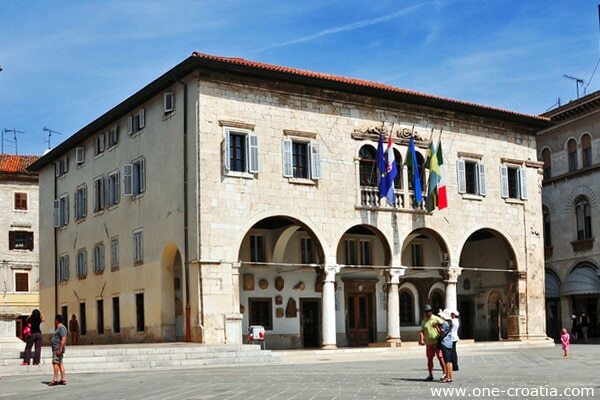 Next to it is the city hall, a beautiful palace from the 13th century. 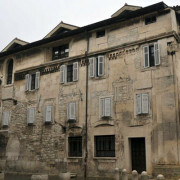 It has Gothic and Renaissance features. 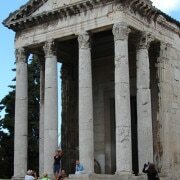 It was built on two Roman temples. 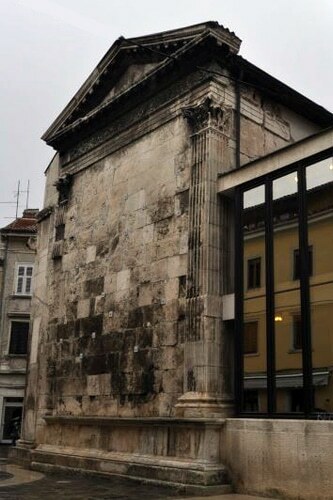 To notice that go around the building, when you will stand behind the city hall you will see the foundations of the temples. 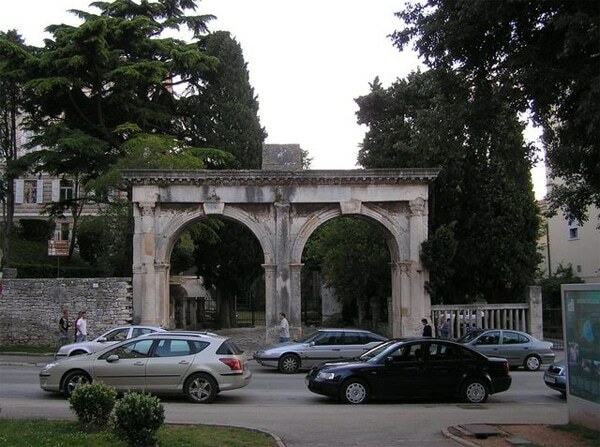 Then take Sergius street (in Croatian ulica sergijevaca). 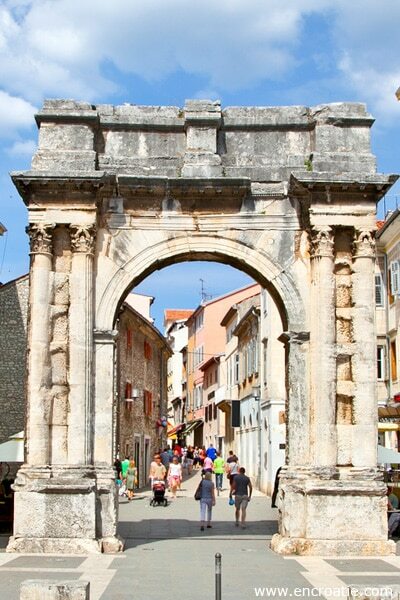 It is a busy shopping street that takes you up to the Arch of Sergi, a triumphal arch of the 1st century. 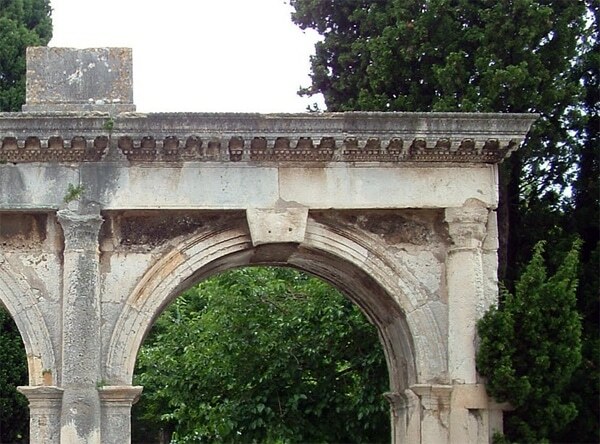 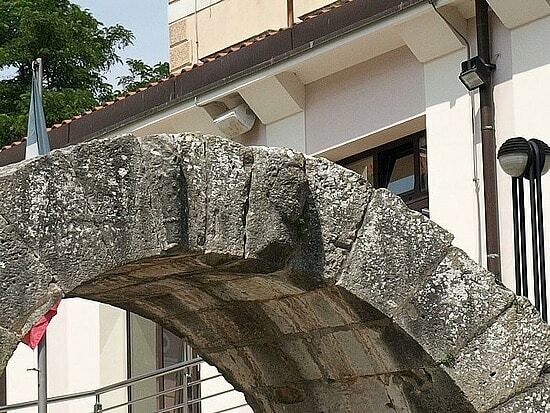 The arch is not dedicated to an emperor as it is usually, but to the three brothers of a noble family called Sergi. 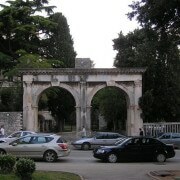 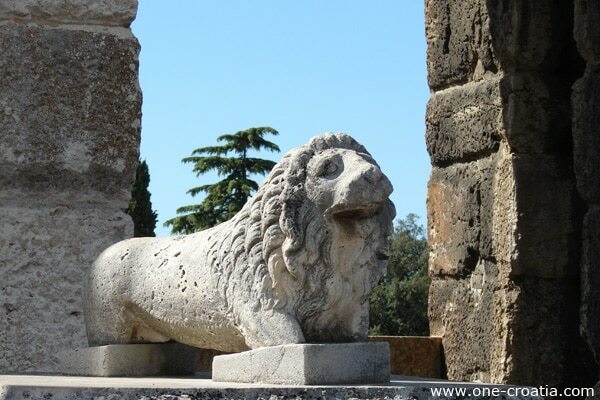 The gate of Hercules was built in the 1st century BC. 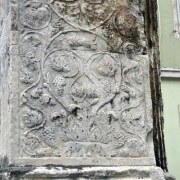 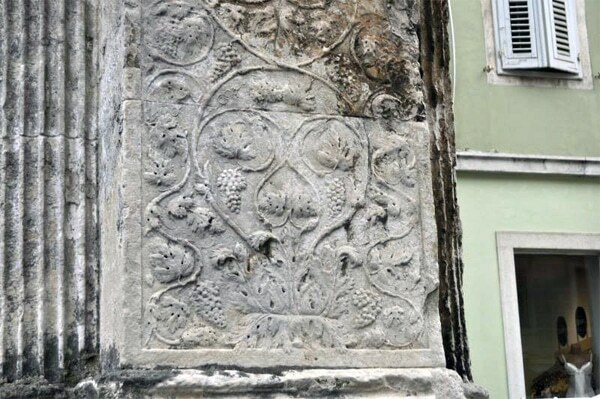 You can notice a head on the top of it that represents the Greek divine hero. 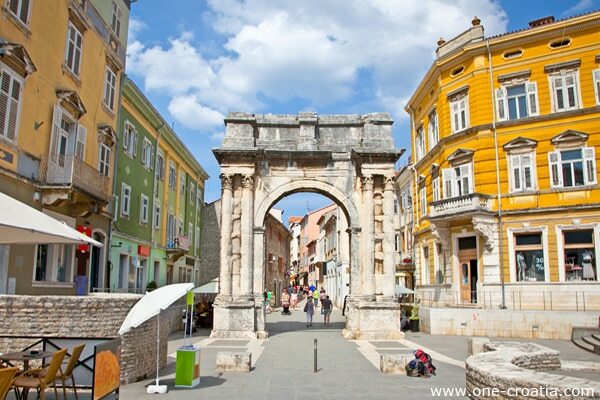 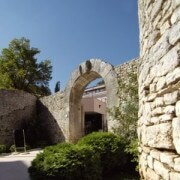 The Twin Gates are made of two arches through which you enter the inner yard, which was once the entrance to the city. 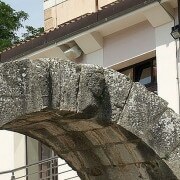 They were constructed between the 2nd and 3rd centuries. 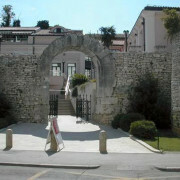 The Twin Gates today lead to the Castle and the Archeological Museum. 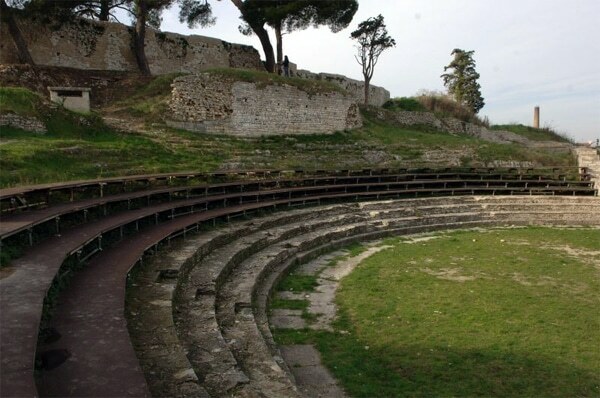 Not far from the gates you will arrive at the Small Roman Theater. 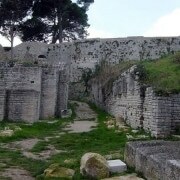 It was situated within the city walls. 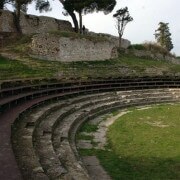 The remains of scene, semicircular orchestra and tired section for the audience have been partly reconstructed. 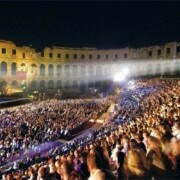 As we were talking about the small theater, you can guess that there was as well a big theater. 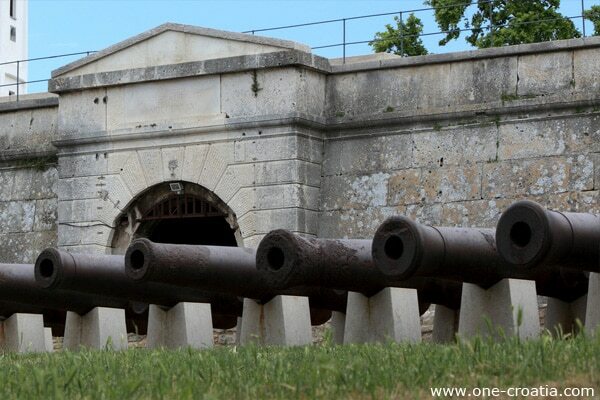 Unfortunately it does not exist anymore, since its stone blocks were used to build the Venetian fortress. 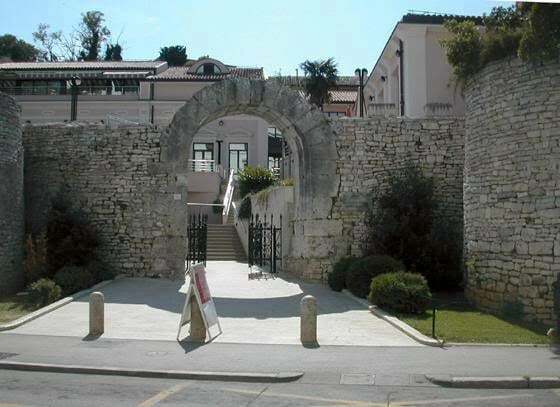 The fortress is called as well the Castle (in Croatian Kaštel), it is situated on the top of a hill in the heart of the city. 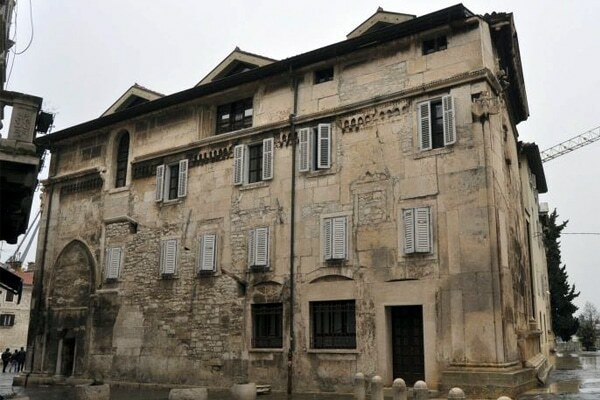 It was built in the 17th century and designed by the French architect Antoine Deville. 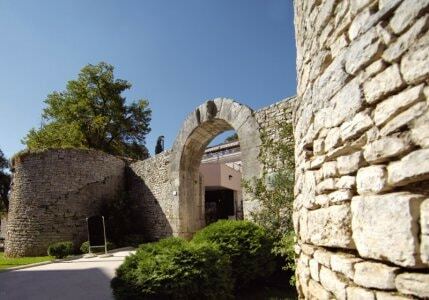 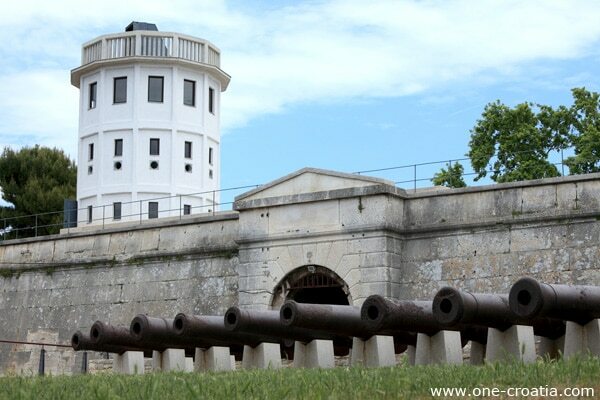 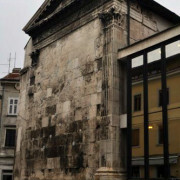 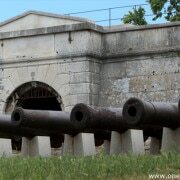 Today, within its walls is located The Historical and Maritime Museum of Istria. 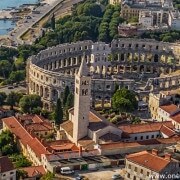 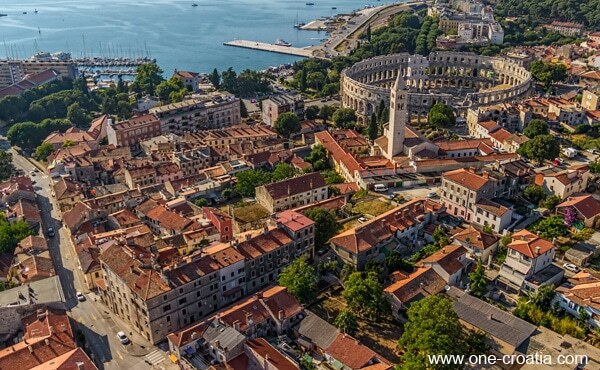 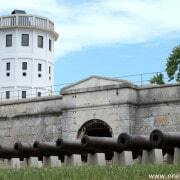 The fortress offers a magnificent view of the city of Pula and the city’s bay. 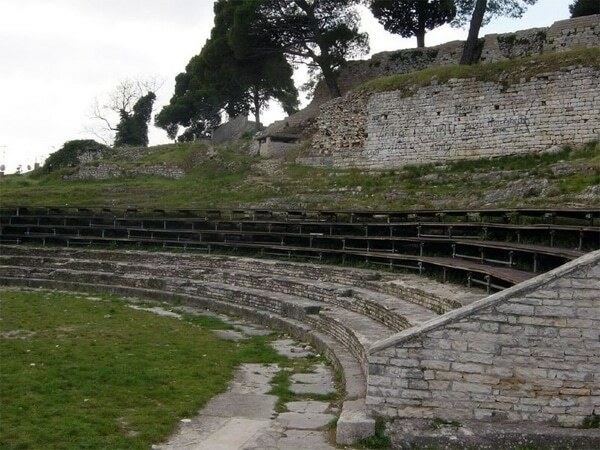 I advise you to achieve your discovery of Pula by visiting its amphitheater. 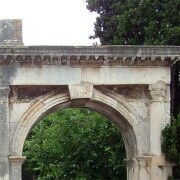 This is the most famous and important monument of the town. 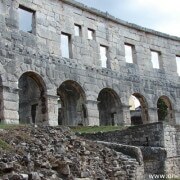 It is the 6th largest surviving Roman amphitheater in the world. 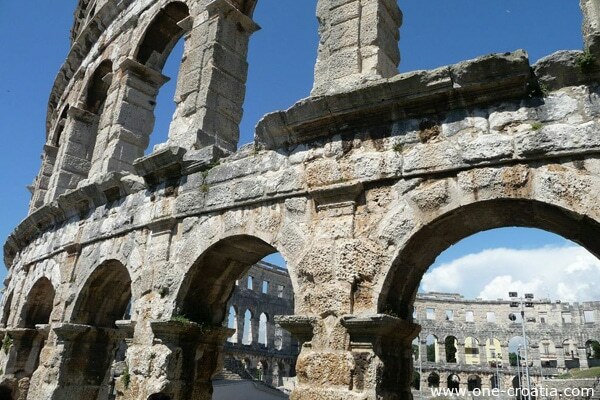 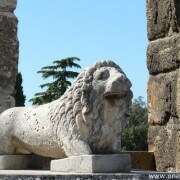 Popularly called the Arena of Pula, it was once the site of gladiator fights. 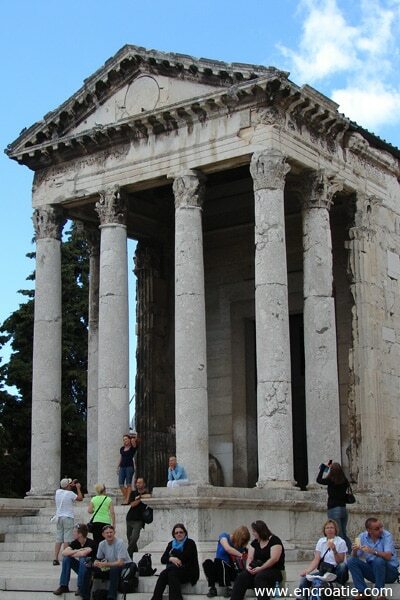 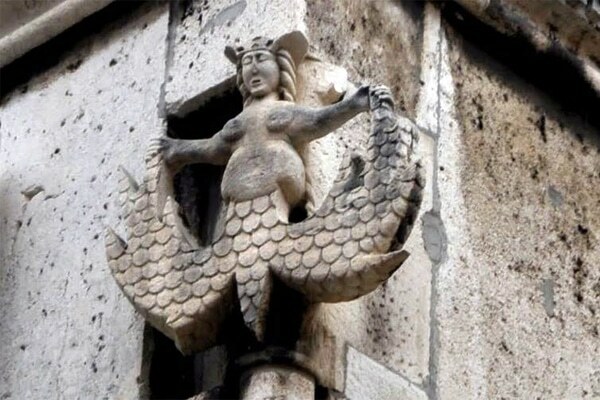 It was built in the 1st century AD during the reign of Emperor Vespasian. 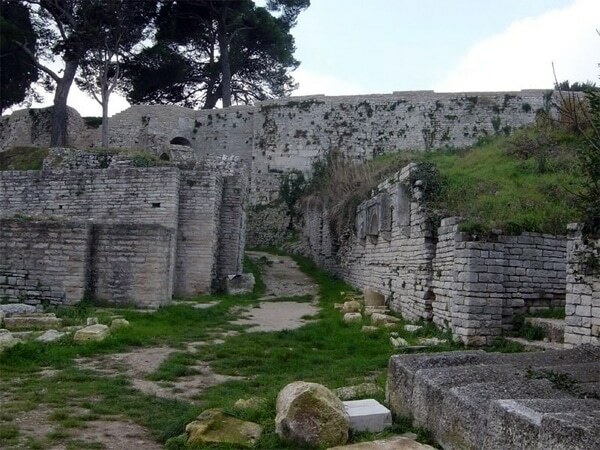 The ground plan is elliptical, the longer axis measuring about 130 m and the shorter one about 100 m. Gladiator fights took place in the central area called the arena, while the spectators could sit on the stone tiers or stand in the gallery. 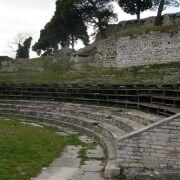 The Amphitheater could seat about 20,000 spectators. 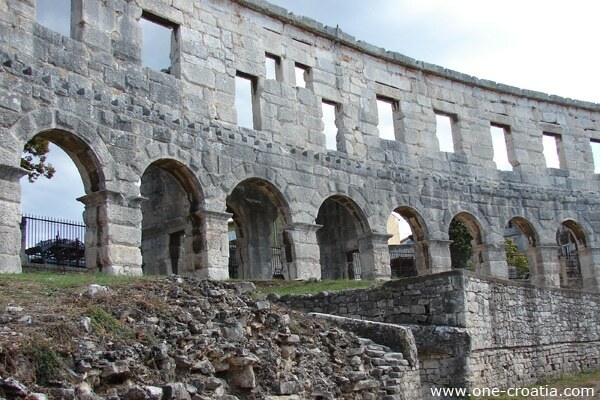 In the Middle Ages it was the site of knights tournaments and fairs. 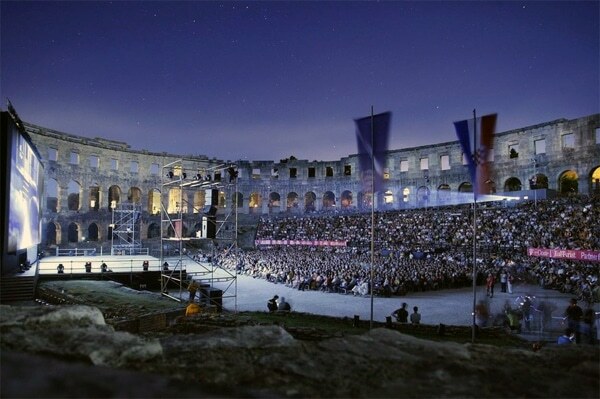 Today, it is used for many different events as the Pula Film Festival, various concerts, opera, ballet or sports competitions. 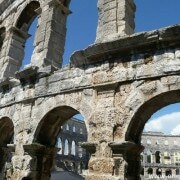 During summer the Arena hosts gladiator fights as part of the historical and entertainment spectacle “Spectacvla Antiqva”. 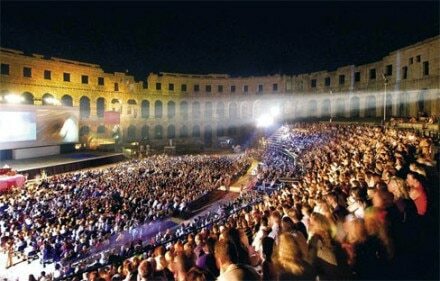 During your vacation in Pula attend a concert in the amphitheater or another of many events that are helded duting the summer. 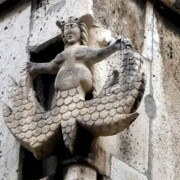 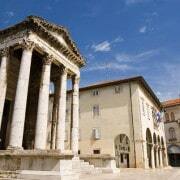 Apartments, stone houses, villas with pool or bed and breakfast in Pula.